On July 2016, UB researchers Xavier Serrat and Salvador Nogués visited the premises of the Italian partners. 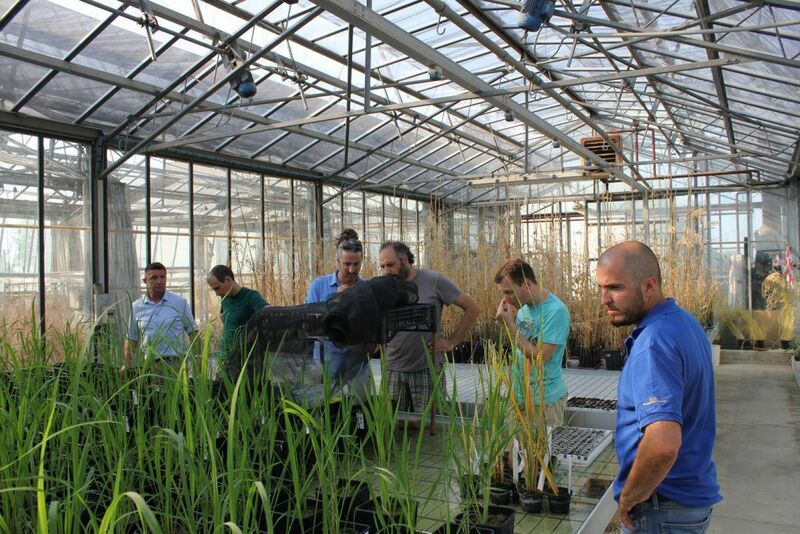 SIS researchers Giacomo Gavina and Stefano Ravaglia and CREA phD student Gabriele Orasen showed them the fields in the Po Delta, in Vercelli, where the salinized field assays for WP4 take place. Also in Vercelli, the group visited the greenhouse facilities of CREA, where saltol integraton into Italian varieties is being developed. Giampero Valè (IP), Alessandro Tondelli, Stefano Monaco, Gianni Tacchoni, Andrea Volante and Francesca Desiderio lead the visit. 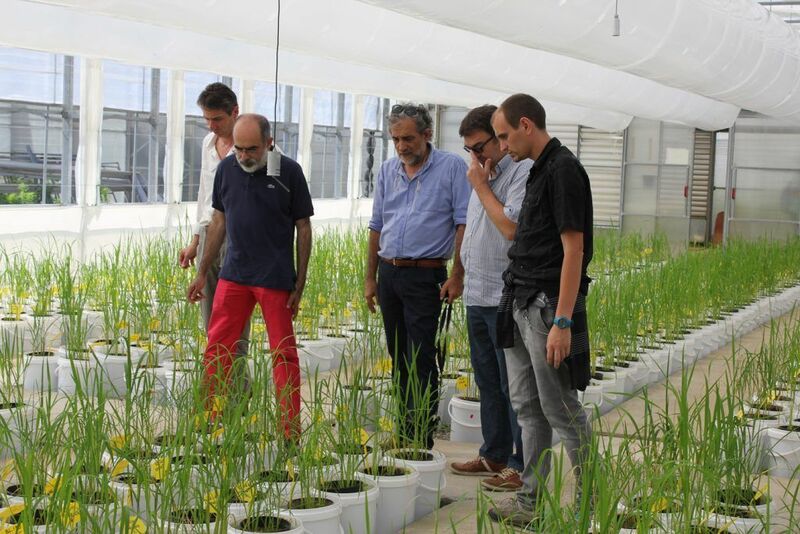 At the University of Milano, researchers Gian Attilio Sacchi, Fabio Nocito and Elena Baldoni, explained the salt tolerant assays they are performing on greenhouse conditions, as part of the WP 1.